Rita Wong, water activist and winner of the 2011 CBC Canada Reads Poetry competition, will read from her work on Monday, January 14 at 7 p.m. at the downtown Kelowna branch of the Okanagan Regional Library. 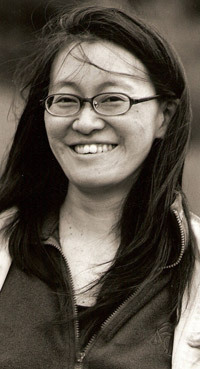 Wong teaches writing and cultural approaches to water-based ecology at the Emily Carr University of Art and Design in Vancouver. She is the author of three books of poetry: sybil unrest, forage, and monkeypuzzle. She is also the developer of the collaborative creative project Downstream: A Poetics of Water. This free community event is part of the 2012-2013 Visiting Author Series events hosted in downtown Kelowna by the Faculty of Creative and Critical Studies at the University of British Columbia’s Okanagan campus, the UBC Bookstore, the Okanagan Regional Library and the Canada Council for the Arts.